These are notes made when/after getting Julene a MacBook Air. You can fix the way a mouse scroll wheel works on the Macintosh the mouse settings in System Preferences. Just uncheck the natural scrolling checkbox. Mount the Terminal application on the Dock. This application is found by launching the Finder, clicking on Applications, then on Utilities, then scrolling down to Terminal. Just launch it to get it on the Dock. To get root, do sudo bash. You'll only need to type in your password. You can make this permanent and passwordless using visudo just as on Linux. I once ordered Macintosh software as a CD. Then I discovered there was no CD drive in the MacBook Air. (Forgive me, I'm not a Macintosh guy and didn't realize that until I went to install the software.) So I created an ISO, which the Macintosh OS is apparently happy to load. To see how I did this, look here. 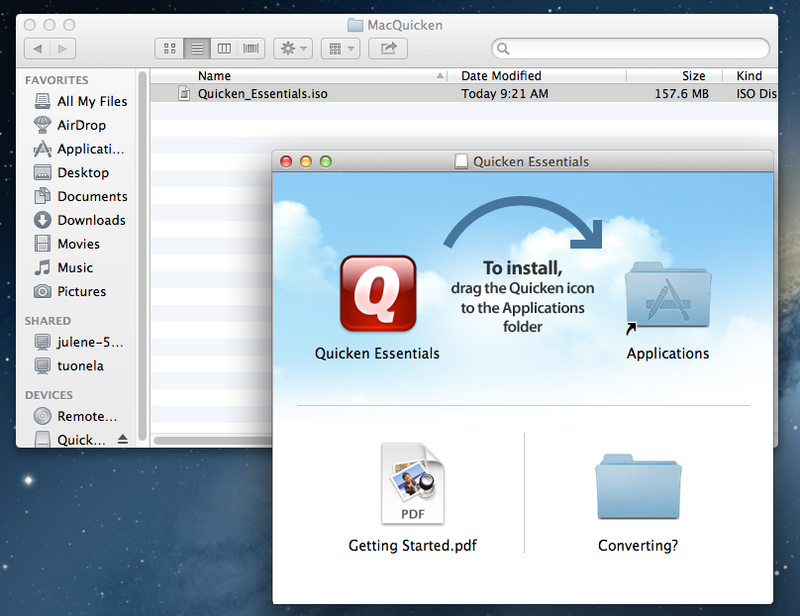 Julenes-MacBook-Air:MacQuicken julene$ scp [email protected]:/home/russ/Downloads/MacQuicken/Quicken_Essentials.iso .